I went to Target yesterday for my annual "pre-Easter comparing prices" trip. I like to go into the stores to see what they have and see what the prices are. Plus taking the kids it gives me an idea of the things they would like to see in their baskets. Strolling around I seen this, and while it is not Easter yet and I normally refuse to buy anything till closer to time, I got it. Now I had to fight the kids off all night and all morning to keep them away from it and to wait till we got the kitchen clean and some laundry done. The directions are very simple and on the back of the box that it all came in. All supplies were included except; butter, milk, and water. 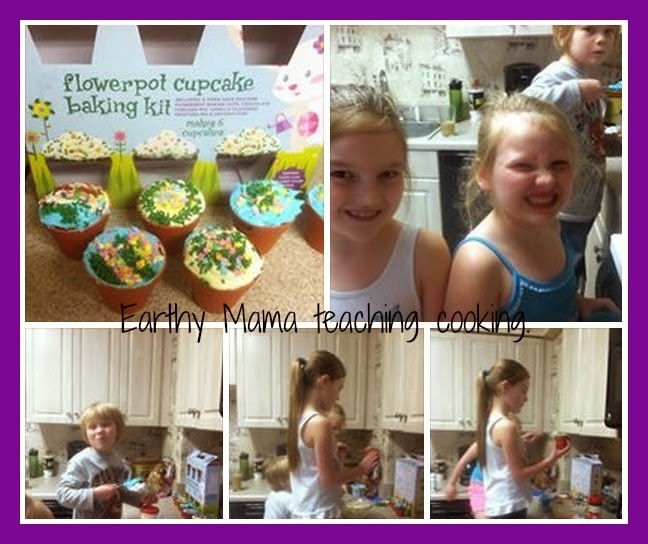 Very easy for the kids to follow the directions and to make themselves. Then they got to decorate which was their favorite part. 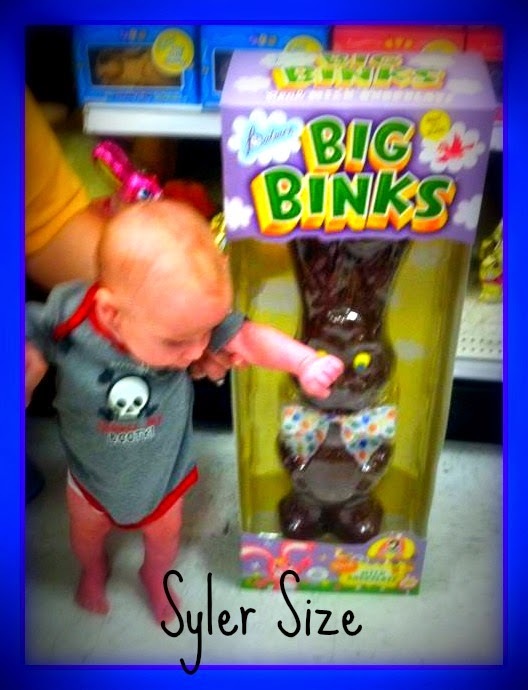 It can't get much better than a chunk of chocolate the same size as your 2 month old son! Pretty sure he was drooling at the though of it...to bad he has to wait a few more years to get something like this!